Jared Easley has a very motivational podcast concept, called “Starve the Doubts,” which aims to help those who are elevating in the profession tune out those who wish to bring them back down to their level or suppress their success! Jared Easley is a self-described “everyday guy” who is passionate about connecting with others, communicating, leveraging new media & cultivating a community of like-minded citizens. He is married to his amazing wife Rachel & they have a beautiful daughter named Lana, and they live in South Florida. You can listen to his inspiring podcast episodes at http://starvethedoubts.com. His interview list is quite impressive and full of individuals who are creative, unique, interesting & taking action! Male: You know, sometimes I think of Jason Hartman as a walking encyclopedia on the subject of creating wealth. Male: Yes, Jason has that unique ability to make you understand investing the way it should be. It’s a world where anything less than 26% annual return is disappointing. Male: I love how he actually shows us that we can be excited about these scary times and exploit the incredible opportunities this present economy has afforded us. Male: We can pick local markets, untouched by the economic downturn, exploit packaged commodities investing and achieve exceptional returns, safely and securely. Male: I also like how he teaches you to protect the equity in your home before it disappears, and how to outsource your debt obligations to the government. Male: And the entire set of advanced strategies for wealth creation is being offered at a savings of $94. Male: That’s right. And to get your creating wealth encyclopedia series, complete with over 60 hours of audio, and 3 books, just go to Jasonhartman.com/store. Male: If you want to be able to sit back and collect checks every month, just like a banker, Jason’s creating wealth encyclopedia series is for you. Jason Hartman: Hey, it’s my pleasure to welcome Jared Easley to the show. He is a self-described every day guy, but he is passionate about connecting with others, communicating and leveraging new media, especially podcasting, and you’ll hear about that, and cultivating a community of like-minded people. He’s going to talk about overcoming doubt. He’s going to share some of the case studies of some of his well-known guests that have been on his show. And we’ve had a little bit of cross over. I’ve had some of these guests as well on my shows. And it’s just great to have him, so Jared welcome, how are you? Jared Easley: Jason, it is an honor to be on your show, thank you for inviting me. Jason Hartman: And you’re coming to us today from Fort Lauderdale, right? Jared Easley: Yes sir. South Florida. Jason Hartman: Great, beautiful place. So you want people to understand that you have a day job, is that correct? And this is a hobby. Jared Easley: That is correct. I am a normal person that has a day job that had the audacity to say, with the responsibilities of the day job and then a family, hey I think I’ll take all this extra free time I had and put it into a podcast. As you can imagine, Jason, that’s pretty demanding at times. But I have found tremendous value in doing that. Jason Hartman: Fantastic. Tell us a little bit about what happened. Your day job is that you’re a project manager for a software company and when did you start your podcast? Jared Easley: I started my podcast in April, however I was interested in podcasting probably over a year before that. And I actually paid money to take a class to learn how to do it, and I was so excited, but one little thing that held me back Jason, I had my own little doubts that I needed to starve. And that was the idea that, well people like podcasts but they like this high quality audio. And if you can’t produce a high quality audio podcast, some people may listen to it initially but they’re going to say that’s not for me, I’m going to pass. And, by the way, here’s my hardware package that’s this exorbitant fee and I remember thinking oh maybe podcasting isn’t for me if I have to invest all this money into a hobby. And I stalled, Jason, I ended up taking a while. That ended up being a very positive thing because it gave me more time to consider what I wanted to podcast about. And then I found out something that’s kind of funny Jason, you may laugh at this but I found the Audio-Technica microphone. And, Jason, your listeners can go on Amazon right now and do a search for this microphone. It’s an Audio-Technical microphone, it’s USB, and Jason could you take a wild guess how much this microphone would cost your listeners. Jason Hartman: Well, since I’m probably better at guessing than some but I’m going to guess it costs about 40 bucks. Jared Easley: It costs $35. Jason Hartman: Hey, I was pretty close. Jared Easley: And while it’s not perfect audio, it is very good audio. And finding that microphone several months later made me realize, hey there’s really not a good reason not to start podcasting. It’s not something that’s difficult to start. Jason Hartman: Cheap technology made you remove your excuses right? Jared Easley: It really played a big role in getting started and I’m so thankful that I did. Jason Hartman: Good for you. Well, so you just decided you wanted to podcast but you didn’t know what you wanted to podcast about initially? Jared Easley: I had a few ideas but I was trying to figure out what was the best angle. And, ultimately, I was interested in learning how successful entrepreneurs have been able to get to the point that they’re at and specifically how they were able to overcome self-doubt. That’s a challenge for a lot of people. I just explained to you Jason one of the doubts that I had. Hey, I can’t produce a high audio quality podcast, so therefore I can’t start. Well that wasn’t necessarily true. I didn’t know about a certain microphone that I could get for an inexpensive price. But how many people don’t take big steps and font make moves because they have this mindset, well I don’t think I can do that or that’s too big or I’m not talented enough or I’m not creative enough. There’s a lot of things that say hey you can’t do this, but that’s resistance. Steven Pressfield wrote about that in Turning Pro, and I think if people can overcome those self-doubts, you’d be amazed what you’d be able to accomplish and most likely in a short amount of time. Jason Hartman: Yeah, I think that’s a very good point. So your podcast is about overcoming doubt then, right? Jason Hartman: And you talk about starving the doubt. Jared Easley: That’s the name of the podcast. I had a family member, it’s actually my dad’s cousin, he’s a very successful business man in Texas. And when I was 19 and very unsure of what I was going to do or what direction I was going in, he gave me some advice. And it didn’t mean a lot to me then, it means a lot more to me now. He said there’s 3 things you want to do if you want to be successful. The first thing is to always treat others the way that they want to be treated. Okay that makes sense. Always do your best. That makes sense. And then Starve the Doubts. And I thought, Starve the Doubts? I’m not sure what that means. And as I’m a little bit older now and I’ve been through different situations and different circumstances in a corporate setting and learned a little bit more about myself I realized, hey Starve the Doubts embodies this idea of hey I want to take some action, I want to do something. Whether it’s becoming an entrepreneur or whether it’s taking your professional career to another level, there little things you have to overcome, there’s actions you have to take, there’s steps you have to be intentional about. And that was something that got me excited and I wanted to dig deeper on that. I listened to a lot of podcasts as I’m sure you do as well Jason, and there was a lot of key people that I was listening to I thought, how interesting, at least from my end, how interesting would it be to be able to have conversations with those folks and learn how they overcame self-doubt. Jason Hartman: So how many episodes do you have now? Jared Easley: Today was the release of episode 37, so it’s not a ton of episodes but I started cranking them out a little bit here. Jason Hartman: Yeah, that’s definitely true. And how has it been going? I mean since you started the podcast? You put one out there, did you look at your stats and see how many listeners you had on that first episode? Jared Easley: Well, just to back up a hair Jason for people who are listening, I don’t know if they know this about podcasting, but there’s about 45 million people every week going into iTunes. Now, that could be for music or for books, various things, university, but podcasts are becoming more and more popular. And iTunes just a little over a month ago put out a big PR release saying that there was 1 billion, 1 billion with a B, subscriptions, podcast subscriptions. And that’s a big deal for iTunes to put that out there and let everyone know that. People are becoming more and more tired of satellite and terrestrial radio. People are spending about 50 minutes a day on their commute in their car and more and more people are listening to podcasts. They’re interested in that on demand entertainment. And because of that there’s a big audience for content that’s available through podcasts. And you know this Jason; you’re doing really great with your show. And that’s what’s so interesting, you can create a show, a podcast based on what you’re interested in, what you’re passionate about and you can find an audience actually very quickly and one thing that I learned since I started this is there’s about 400 million plus blogs in the world. That’s a lot. Guess how many podcasts there are. Jason Hartman: Less than that, but I don’t know. Jared Easley: yeah there’s around 200 thousand podcasts and about 90% of the 200,000 podcasts are abandoned, meaning they’re not being created anymore. The contents just sitting there or they’re not very good. The quality’s not very good, the content’s not very good. What encouragement that can be to your listeners is if they want to start a blog, start a podcast, they could consider the podcast and potentially find like-minded people who love the same thing they love, whatever their niche is and grow an audience in a short amount of time and get noticed really quick. So, that is exactly what happened with Starve the Doubts. Started the show, and almost right off the bat I was fortunate to interview some people I’d met at a conference that were speakers and id asked them for interviews in advance and recorded those and then when I launched my show those were my first several interviews. And I was in iTunes’s New and Noteworthy right off the bat and just in the two or three weeks it was number 1 in business and careers and that was to me hilarious. I was like, who am I? I don’t feel like I’m that important, yet all the sudden here’s a podcast I’ve created and its shot up to this number one spot in iTunes new and noteworthy. So right off the bat it got a lot of traction and from there I continued to get opportunities to interview interesting people and some of those people were gracious to share that content with their audience and it’s just been like a snowball effect, it’s been very exciting. Jason Hartman: Well, have you been looking, you know, some podcasters kind of intentionally don’t look at their stats, but if you have been looking, would you like to share any of them? Jared Easley: I haven’t looked. I’ve taken the advice of don’t get hung up on that. I can say the last time that I looked I was pleased considering I’m a brand new podcaster and I believe last month I had just over 6,000 downloads that particular month. I would say as a new podcaster, I’m still a few months into this, I felt like that was pretty exciting. Now, that may not seem like a lot for some folks who have been doing this for a while or it may not seem like a lot at all but keep in mind that I just started; I was very, very thrilled with that. But what I do measure, Jason, is the engagement. And my show, I really try to ask questions and then at the end of the show I try to provide some questions for the listeners and provide unique ways where they can respond to me so it’s not just them listening to the show but it also gives them an opportunity to have a little bit of engagement with me and vice versa. And that has been outstanding, whether it’s Twitter or other social media platforms, emails, even phone conversations. Skype calls with people in England and Australia and Asia. It’s amazing, it’s like, I can’t believe the engagement that’s happened from the show – people are actually excited about what’s going on, excited about the interviews and are looking for ways to starve their own doubts in the pursuits that they want. Jason Hartman: Yeah, that is one of the greatest things. I mean it’s just so fulfilling. Hardly a day goes by when I don’t get some email or some message of some sort from some listener that says, hey I love your podcast, it’s really helped me thank you so much. And I’m like wow, this is just great to know that you’re having such a positive impact on people. It’s great. You know, Jared, we don’t live in a world anymore where some executive at some media company or some publishing company vets and decides who gets to be heard and seen and who gets to be successful and who gets to tell their message to the world. We can go direct and we let the world find us. And isn’t that, it’s just so democratic. It’s wonderful. Same is true with music, you know? There’s no big record label that’s deciding which musicians are going to get their music out there. It’s the same deal with authors, I remember when I published my first book back in 1999. I went on Amazon.com and it took 7 minutes to have global distribution. What an incredible thing. I mean, that’s so liberating huh? Jared Easley: You know Jason I was talking to someone recently and they were telling me how they went and attended a mastermind type of event and they spent this exorbitant fee to attend this and it was about 30 people and they had about 15 minutes each to talk about their business and then get some feedback from people putting on the event and then you know, feedback from the group. And 15 minutes for this exorbitant fee and I was thinking man, that’s a lot of money, it’s just so funny because I actually interviewed the person that did that event and I had 30 minutes for free where I was able to ask them any question I want on my podcast and that didn’t cost anything. Jason Hartman: And the nice thing is you get to ask the questions. Jared Easley: That might be a take away for your audience as well is consider, if you’re considering content whether it’s blog or podcast or video, consider interviews because you can go to people in your niche, and some of those people will be gracious to grant you an interview and you might be able to interview folks that normally if it was a consultation, they might charge a hefty fee but for an interview they’ll be glad to just have a chat with you and you can ask them all kinds of stuff. Jason Hartman: Well, yeah, absolutely. Well what are some of the tips you’d have for podcasters on how to be successful? Like, any particular formula? Are your episodes a certain length of time long or do they follow a certain format? Any thoughts you have there? Jared Easley: I think if someone’s starting a podcast today, my encouragement would be, before you start your podcast, try to have a few episodes prepared in advance, and I think what seems to work is launch immediately, day 1 with 3 episodes. And the idea behind that is if your friends and family may be the only people that are going to listen to it day 1, but let’s pretend that’s 100 people, that’s 300 downloads vs. just 100 and I think that might be a mistake that some podcasters make right off the bat. Oh they just launched that first episode, if you launch 3, that increases that download. And that’s really important Jason because that can put the podcast immediately in iTunes new and noteworthy. And that’s tremendous visibility and a lot of people around the world and find your show that wouldn’t find you any other way. So if you can kick off with 3 episodes, and I would encourage the potential podcaster to put out more than 1 episode a week for an 8 week period, and the reason for that, Jason, is iTunes New and Noteworthy lasts for 8 weeks and that is an outstanding opportunity to get noticed, to get traffic to your website. If you can continue to put out episodes, at least 2 a week, that increases you downloads which again increases your visibility. It’s all about visibility and New and Noteworthy, so crush it those 8 weeks. Try to kick off with 3, try to put out 2 each week, and then if you want to after 8 weeks you go into a flow of 1 a week or whatever you feel comfortable putting out. But that 8 week window is such a crucial time for you to gain a lot of listeners that wouldn’t find you any other way, so, that’s my advice. And then, this is something I rarely share Jason, but I’ll go ahead and share it with you. What I’m finding to be interesting, and I’m in testing phase right now, but it seems to be doing well, is so many folks, and you can testify to this Jason, so many folks are listening to my podcast, reading my blog, and you get inundated with that enough that it could be a natural tendency to ignore that and what I’m finding is a nice strategy for me is that if I can, I guess, promote other people, if I can link to them, whether it’s a tweet, saying hey check out Jason Hartman’s podcast, even if someone doesn’t click on Jason’s podcast, Jason sees that I submitted that link on Twitter and I would challenge you, Jason, that’d probably make you say hey that Jared, he’s a nice guy. He shared my link. Well if you’re doing that, not saying that’s all you should do, but if you do that often enough with several folks eventually that good will kicks in and then reciprocity kicks in and more and more people start sharing your links as well, which creates more followers, which creates more people following your show. So that’s something I would encourage people to consider in your social media posts and stuff. What can you do to maybe make it about the other person instead of just about you? Can you share somebody’s link? At the very least it will mean something to the person that you’ve shared it and that can build more goodwill and that can begin a relationship of reciprocity and friendship and networking and that can grow beyond that. Jason Hartman: So have you thought of any strategies in the realm of modernization for your show? Or are you purely just looking at this as a hobby? Jared Easley: Well interesting enough I’ve found a few opportunities that I didn’t consider when I started. When I first started I thought, hey a podcast could open up opportunities for speaking, for being a sales funnel to other products, and if I write a book, things of that nature. But what I’m finding in the early months of doing this through interviews and things, I’m a project manager in my day job, I’ve actually had several people that I’ve interviewed ask me on the side, hey would you be interested in doing some projects with me? And that’s something I didn’t consider Jason, so now I’m in a situation where I have my day job and I’m very thankful for that and I’m not looking to leave that, but on the side I can do some projects and help some folks and create some money that way. And that would have never happened without the podcast. And then interestingly enough, I just got approached by an individual whom I interviewed and this person is creating a podcast network and I don’t want to give too much away here but it looks like they’re going to leverage the network, meaning the group of podcasts, for some sponsorship money. So we’ll see how that ends up playing out, but that could be a good opportunity too. Jason Hartman: Yeah, good, good. It surprises me, Jared, that there isn’t more advertising on podcasts frankly, and I listen quite a few other podcasts and there’s very little advertising. And I remember when I just started advertising some of my own brands on some of my shows, and by the way, just so you know, I do 16 different shows. And we’ve got about 1,200 episodes out there. And so we’re on the Speaking of Wealth show right now talking about this stuff. But I started on my creating wealth show doing a little advertising, just for my own stuff, not advertising other people’s stuff. But they were formatted like professional commercials. And you know we had a few complaints about that and it kind of surprised me that people complained. I thought, here you’ve got an hour of content and 2 minutes, literally, of commercial content. And I used to listen to a lot of talk radio, and now I can’t stand talk radio because it’s just too many commercials for me. And they will do as poorly as 38 minutes per hour of content and 22 minutes of commercials. My god, are you kidding me? That’s outrageous. Jason Hartman: It’s brutal. You know, you just listen to commercials all the time. And for good content I’d be willing to, as a listener, as a consumer, to accept some moderate amount of commercials. I just wanted to get your thoughts about that. I kind of like felt a little bit annoyed with that listener that said that. You know, get those commercials off there! I’m like, what do you mean? There’s hardly any commercials on here, you know? Jared Easley: Well Jason, you said it best, it’s good content. And if the content is good and people like and trust you, most of those listeners will be gracious and understanding that “daddy needs to pay the light bill”, but for the person that finds that inappropriate, I think in my situation I would just write that person one polite message and if they still were dissatisfied I would probably say well, thank you for listening and best wishes to you. But I think the people who do like and trust you and appreciate your content are going to understand that. And as long as you’re not busting out the 20 plus minutes of ads, I think it’s cool. Jason Hartman: That’s ridiculous. In some of these podcasts that you listen to, they are just like recordings of conference calls where it’s just pitch fest and that’s just terribly annoying, you know? Jared Easley: Well I don’t listen to those. Jason Hartman: There’s just no content at all, it’s ridiculous. But what I was really leading up to in asking you that question, now that you are thick in the world of podcasting, is do you have any thoughts about the future of podcasting and what it will turn into? Do you think we’ll see more advertising in the future? Do you think formats will change or just any thoughts you have about the future? Jared Easley: Well what I see working now for some folks is downloads, if you have subscriptions and downloads you can go to different companies and they will sponsor you. And you’ve probably heard of Leo Laporte. He’s doing some really awesome stuff and he spoke at new media expo this past January and I remembered he was saying, I believe it was last year, he made 4 million dollars in sponsorship ads in his podcasting network. So I anticipate that you will see more ads, more and more companies willing to spend their marketing dollars where people are. And that’s in new media, that’s in YouTube. YouTube’s a good example, Jason, you click on a YouTube video today and it’s not uncommon to have a few seconds of an ad at least. So companies who are spending their marketing dollars on that, I think more and more will be willing to spend those marketing dollars on podcasts that are generating raving fans. And we’re already seeing it with Leo Laporte. I think you’ll start seeing very unique opportunities pop up for hopefully people like you and I and future podcasters to do what they love, put out good content and also get an opportunity to enjoy some of that marketing money that these companies are spending. Jason Hartman: Well, let’s talk a little bit about some of the guests you’ve had on your shows and some of the actual content of your shows. And this is where we’re maybe switching gears and not talking about why you should become a podcaster, but just how to eliminate doubt in our lives. We all have doubts from time to time and doing a show with this as the title and the subject matter, what have you learned or what advice can you share with the people listening about eliminating doubt or starving doubt as you say? Jared Easley: I have been blessed to interview some good folks. And I think Seth Godin said it best, you know, there’s a lot of reasons not to take action and not to do something and think about those people out there who are less fortunate than you who have less abilities than you, there are so many folks that that does not allow them to stop. They press on, they pursue it anyway and they accomplish amazing goals. There is little reason for the listeners, for you and I, not to hustle, not to try, not to take those steps and overcome those doubts because so many people have done it who have way more reasons than you and I have for not doing it and have done it and have been successful. And I love the quote from Jeff Goins. He just wrote a new book called The In-Between, but he was on the show and he talked about how he may not be the most creative person and he may not have all of the best ideas, but he can do a few things: he can outwork the lazy and he can outlast the lucky. And there’s going to be a lot of folks who were lucky and then they get a little bit lazy. And if you’re willing to press on, you can again, outwork the lazy and you can outlast the lucky. And so I really enjoyed that and I think that just the simple act of taking that step, of starting, creates just a little momentum. And just a little momentum, Jason, can fire you up so greatly to take that next step and then you take that next step and all of the sudden there’s more momentum and momentum is like a magnet Jason, you know this. Opportunities will start coming your way as the momentum grows but the momentum doesn’t grow unless you get in the game. You’ve got to get in the game, you’ve got to start, and I would encourage people don’t worry about perfection. Perfection, there’s really no such thing. Instead, focus on hey, what’s my passion? What can I put out there? And as you put it out there, it may be a little uncomfortable, but overcome those doubts and put it out there anyway, because you’ll tweak, you’ll learn, you’ll pivot, you’ll shift, you’ll figure out what is appropriate and what’s not and what needs to be adjusted. And I’m sure, Jason, you can go back to all those you know, 1,100 episodes ago and you’ll listen and you’ll go, oh yeah, I can’t believe that. You know, I’ve learned so much since then. That’ll be true for the people who are listening, who start something. They’ll look back several months later, a couple years later, and say oh you know, I’ve made a lot of changes along the way because I learned what worked and what didn’t. And you don’t learn unless you get in the game and start, so that’s my encouragement to folks. Jason Hartman: Right, yeah, it’s like the ready, fire, aim concept from Michael Masterson’s book, which I just think that’s a pen name by the way. Jason Hartman: Yeah, that’s a great philosophy. You’ve just got to get in the game and you’ve got to do it. And you know, you’ll adjust, you’ll learn while you’re doing it. You have no feedback mechanism by studying something, by going to seminars, by reading books. Those are all good things, I’m not saying don’t do them, but nothing; there is nothing in the world like on the job training. Jared Easley: Well true, Jason. And that’s another thought. Instead of investing that x amount of money to pay for the next course or attend that next conference, what if you were to take some of that money, if not all of it and put that into a virtual assistant or put that into your website and getting key folks to help you with little things that are not your strength. The steps of doing it will I think produce more results than just spending that money to go to that conference or that course. You learn by doing and that’s my advice. Maybe some of these people who are listening, they don’t need another course, they don’t need another event. Now it’s time to start. Just get in the game and go for it. You will learn, take some of that resource and apply it to people that can help you. And you can find inexpensive ways to do that, that’s another show. But there’s opportunities out there and you can pursue those instead of some of these other things and actually create and ship. Jason Hartman: Totally agree with you there. It’s not about agonizing about how to do it right, it’s about jumping in and doing it and figuring it out as you go along. So, very good points. Well Jared, anything else you’d like to share? Give out your website first of all. Tell people where they can listen to your show of course. Jared Easley: Well the best place to find me is HartmanMedia.com, but if you don’t want to find me there you can always go to my website which is StarveTheDoubts.com and I’m putting out probably 2 podcast episodes every week and I’ve got a book that’s coming out soon. I’m doing a lot more public speaking and just some cool little things are starting to open up and happen and it’s fun to share that with the listeners and also learn what opportunities they’re going to jump into and then of course learn from some good folks that I’m able to interview. So it’s a lot of fun and I hope people will consider checking it out. But thank you for that opportunity Jason. 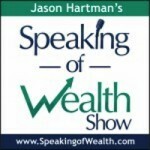 Jason Hartman: It sure is and I’d recommend everybody listening, you’ve got to get in the world of podcasting. Jared we’re doing nothing here but just creating more competition for listeners, aren’t we? Boy, I tell you. Jared Easley: Hey there’s a lot of good stuff out there and I enjoy learning about new shows and different things. It’s fun. Jason Hartman: It really is fun. So, do it. Don’t have reasons why you can’t do it. Just find one reason why you can as Jared did and jump in and make it happen. Jared thanks so much for joining us today. Jared Easley: Jason, my pleasure. Best wishes to you and your success.